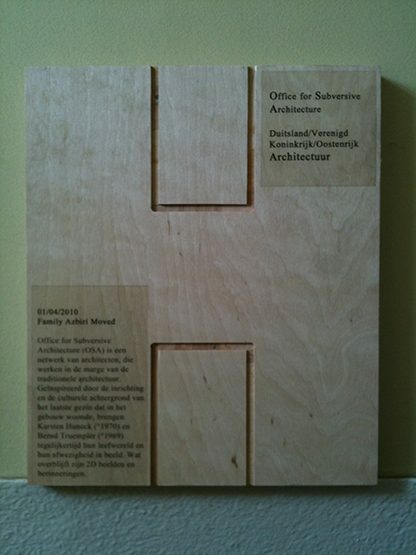 The festival of spatial imagination had full reign in the Luchtbal district in June. For a month the location-specific project HABITAT took placet in the neighbourhood, consisting of exhibitions, readings, guided tours, local dishes. 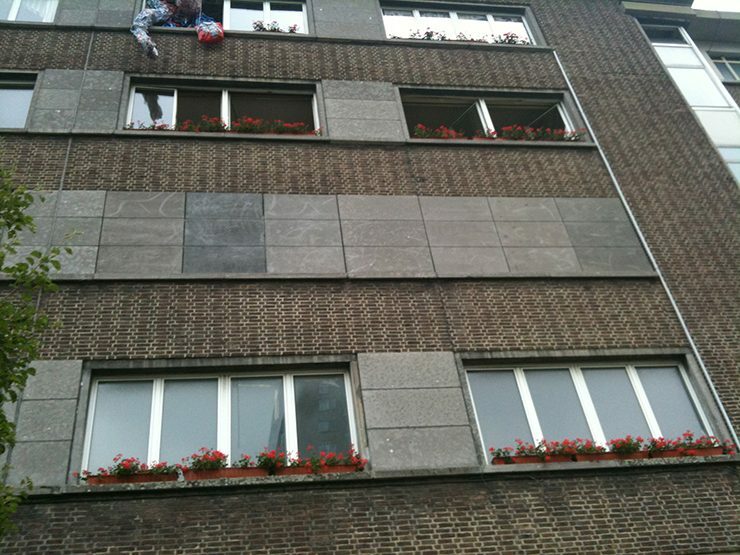 National and international artists have occupied eight apartments in an empty apartment block on Manchesterlaan, using the vacant spaces to create their own interpretation of the concept of ‘living’. The eight artists were the last inhabitants of the building before the entire district will be subjected to comprehensive renovations. 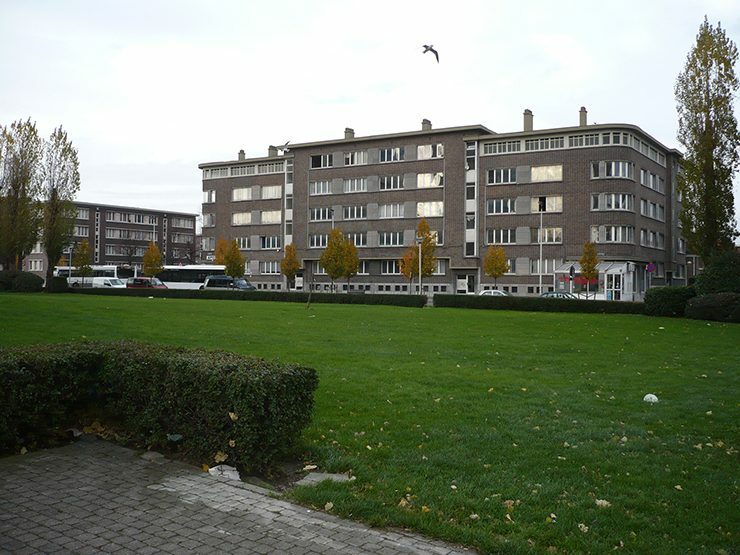 The work ” 01.04.2010 – Family Azbiri moved” refers to the departure of the last tenant. 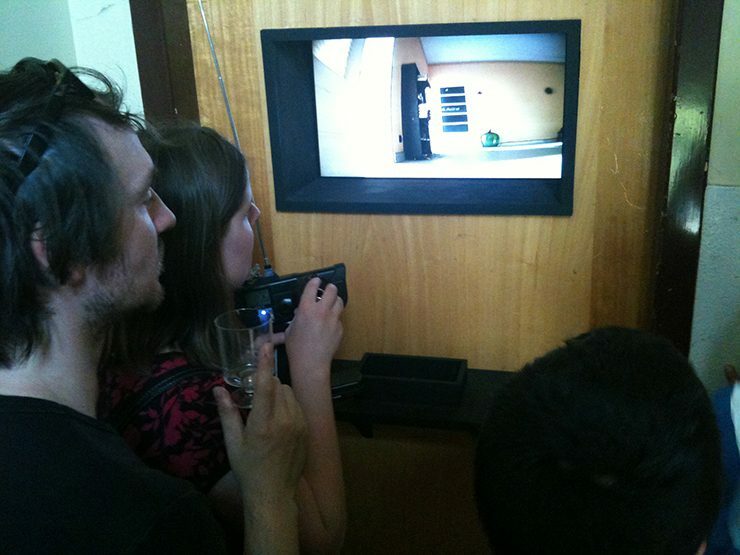 When we visited the block of flats Famiy Azbiri was in the process of moving out forever. The work showed the flat in an intermediate condition where most of the belongings have been moved already. However a few personal things of the family still remained in the different rooms. 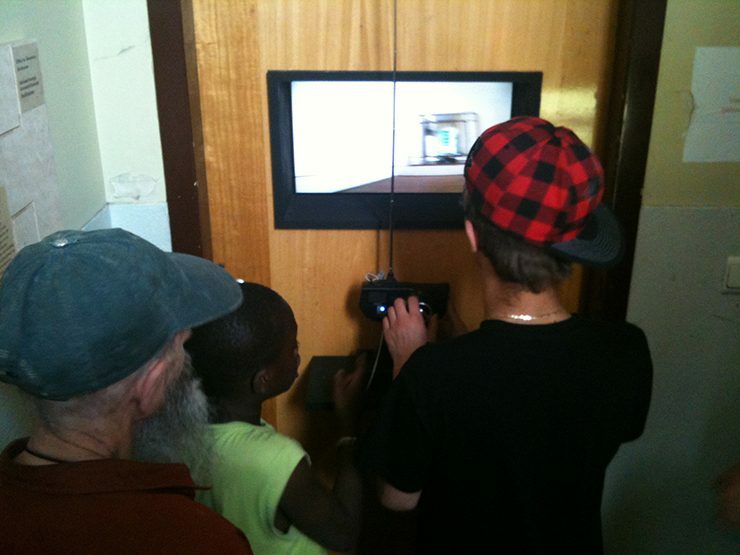 The visitor’s visual exploration of these rooms only worked by navigating a remote controlled car with an installed camera. 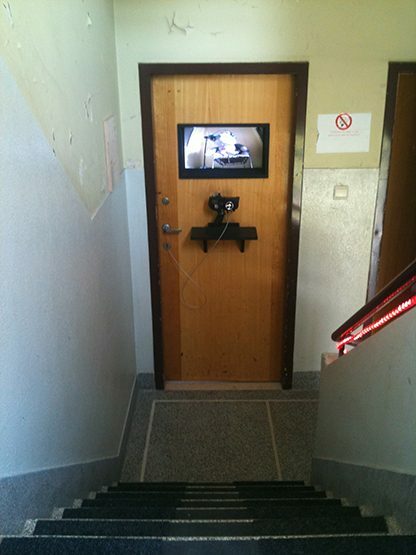 This camera transferred images to a screen which has been recessed into a closed entrance door. What is left are only the images; images which are symbolising the memories of Family Azbiri. The physical masking of the flat has been also expressed by the continuation of the concrete façade elements which covered the window openings of this particular flat. 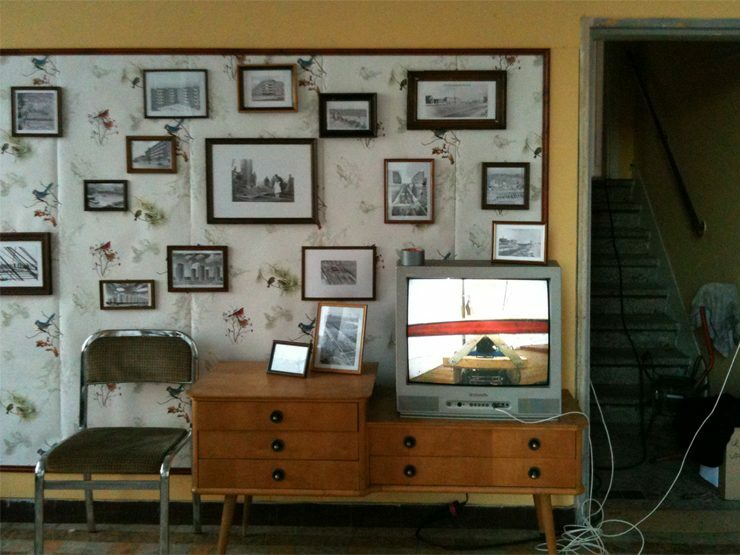 Additionally a television, showing the same images, has been located in the adjacent artist’s café being part of an exhibition which showed historical pictures of the area and the residential blocks. Our images seamlessly fit into these showing the original condition of the flat.